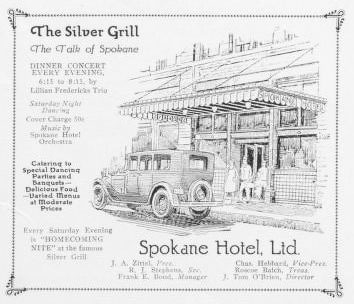 The Silver Grill, the talk of Spokane. Dinner concert every evening 6:15 to 8:15 by Lillian Fredericks Trio. Saturday night dancing. Cover charge 50c. 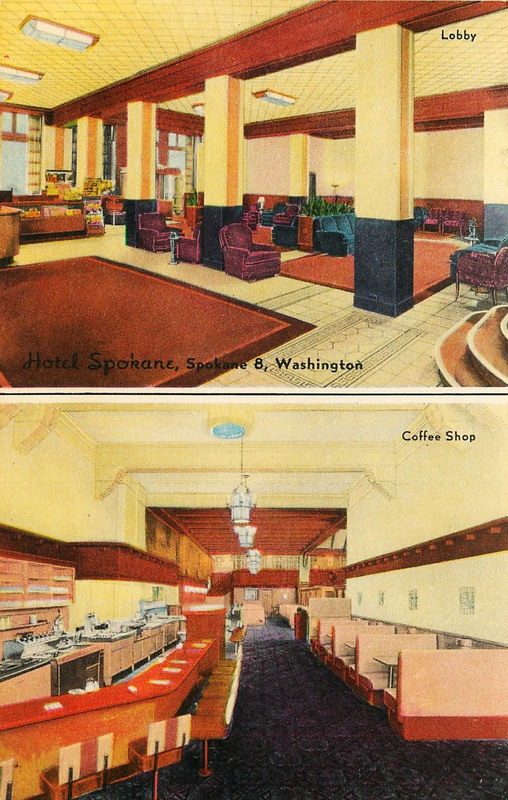 Music by the Spokane Hotel Orchestra. Catering to special dancing parties and banquets. Delicious food. 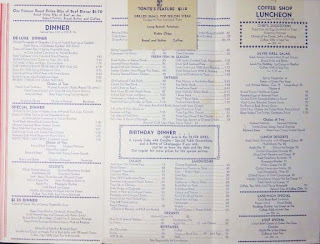 Varied menus at moderate prices. 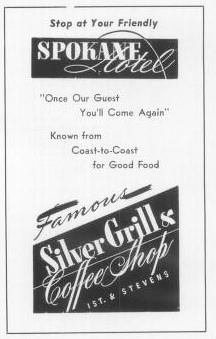 Every Saturday evening is "Homecoming Nite" at the famous Silver Grill. 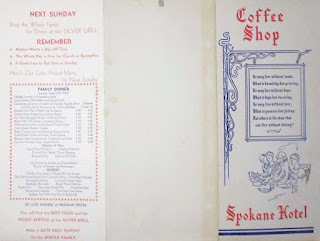 Stop at your friendly Spokane Hotel. "Once our guest you'll come again." 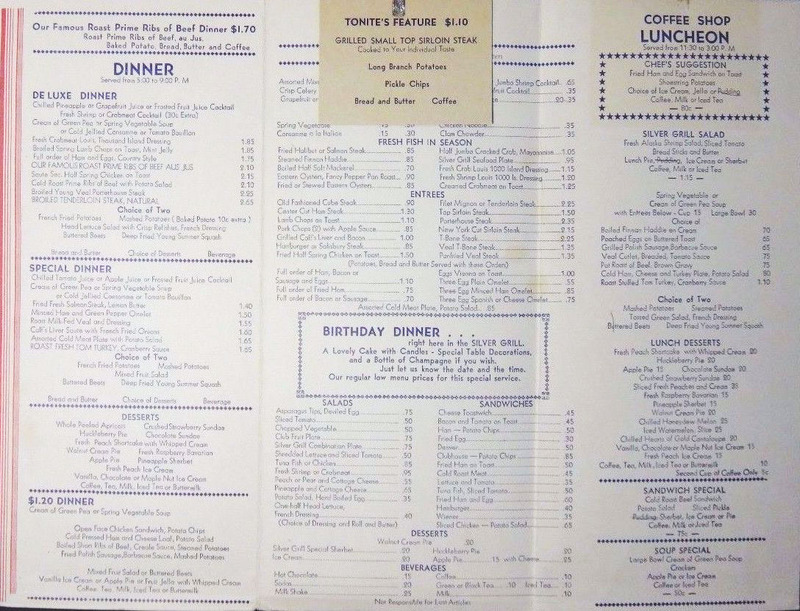 Known from coast-to-coast for good food. 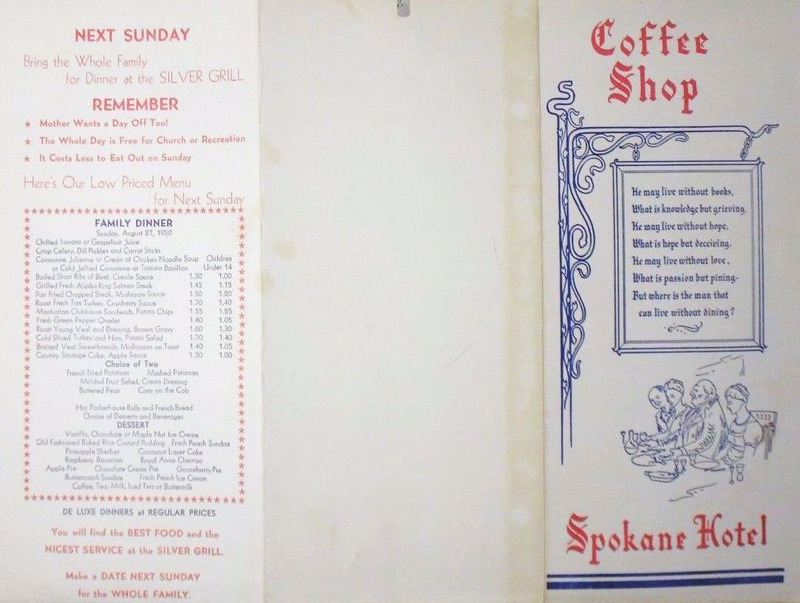 Famous Silver Grill & Coffee Shop, 1st and Stevens. 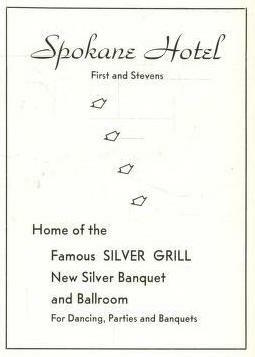 Home of the famous Silver Grill, New Silver Banquet and Ballroom. For Dancing, Parties and Banquets. 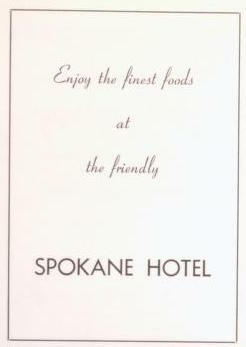 Enjoy the finest foods at the friendly Spokane Hotel.